The sanctuary Sabbath School Class and Doris Grayem’s Sabbath School Class decided to send goodie boxes to the kids from our church, that are off at school. A large assortment of goodies had been purchased and the class members provided home made cookies. 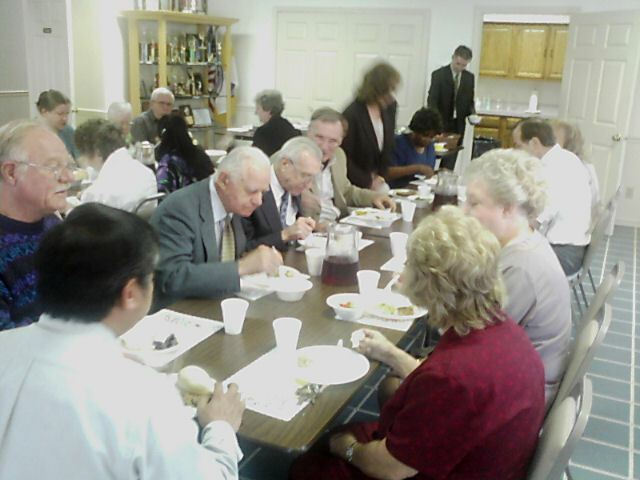 On Sabbath, October 31, following the two Sabbath School Classes pot luck dinner, the class members stayed to pack the goodie boxes. These boxes were quite large and were literally full of all kinds of wonderful treats. A “Thinking of You” card was included in each box letting the kids know they were being thought of and were missed. We have heard that all four boxes were received and the kids loved receiving them. Little things like this can be comforting to our young people when they are away from home. It’s also little things like this jester of love that they will always remember. Leonard and Lela Brown helped out with this project by making sure the boxes were mailed out right away.